“Come on, Gunner. Come on, boy, let’s go over here!” insisted Emma Jo Williams, age five. 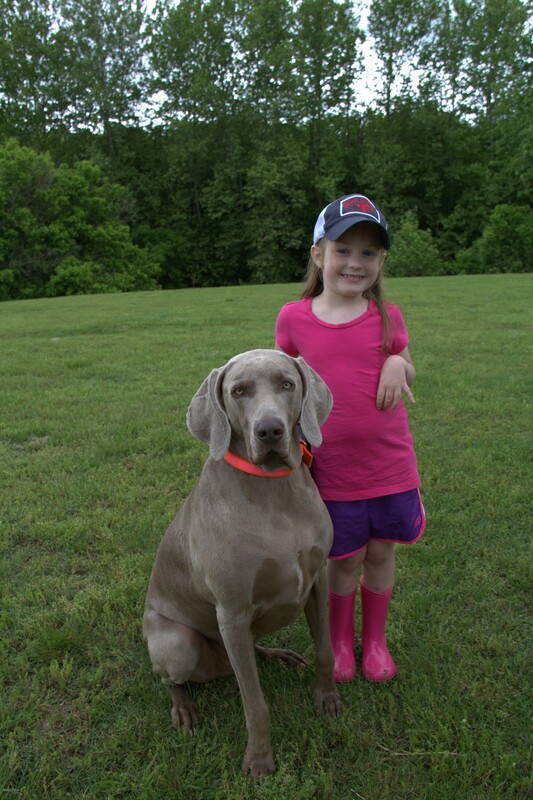 Gunner, a gunmetal gray Weimaraner that easily outweighed Emma Jo by at least 50 pounds, happily obeyed and loped over to the new location before plopping down on the grass. Now at the new location, Emma Jo, in a pink shirt, purple shorts and tall rubber boots, urged Gunner to a new location just a few yards away. Emma Jo began tugging on the leash, but Gunner, content to just lie on the grass, shot a patient but long-suffering look in her direction. 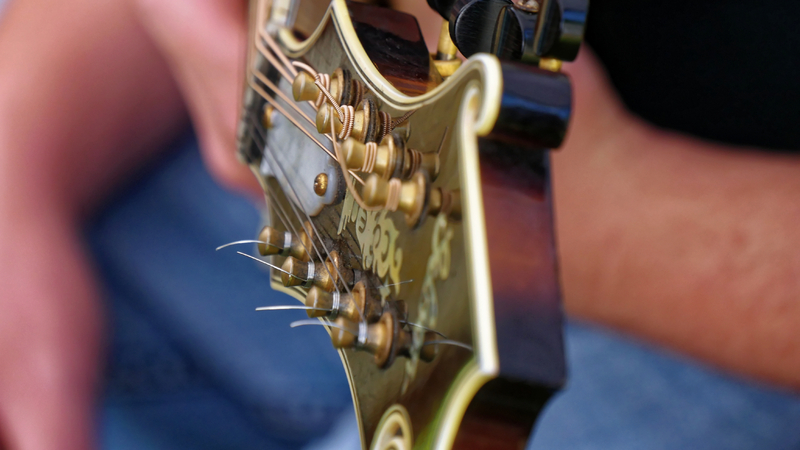 “Honey,” Josh Williams called out to his daughter from a fly-tying bench located beneath a small tent, “you might want to give Gunner a little break. You keep moving him from spot to spot. Besides, you need to come over here and finish eating lunch.” Emma Jo gingerly pulled on Gunner’s leash, and her faithful friend obediently trotted back toward the tent, perhaps hoping to finish off Emma Jo’s hotdog himself. 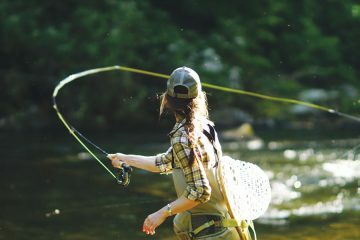 Once there Emma Jo sidled up beside her father, a well-known fly angler and fly designer from Roanoke, Virginia. 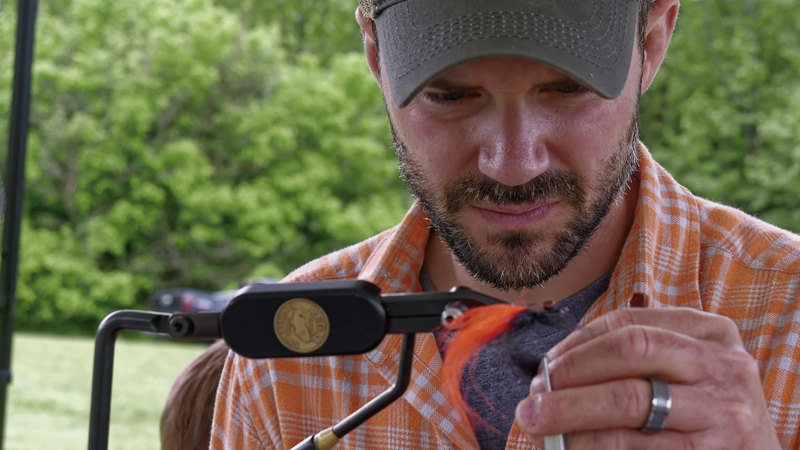 Josh Williams, owner of local fly fishing guide service Dead Drift Outfitters, was seated at his fly-tying bench surrounded by curious onlookers. They marveled at his ability to take hooks, thread, and a few feathers to create the remarkably lifelike patterns that fly anglers use to tempt trout and other species into biting. Williams, Emma Jo, and the rest of their family were flanked by about 50 campers, all within easy walking distance of their tent. Some of the surrounding tents had humble setups with pickup trucks and makeshift campfires, while other sported elaborate recreational vehicles with retractable awnings, full kitchens, and bathrooms. 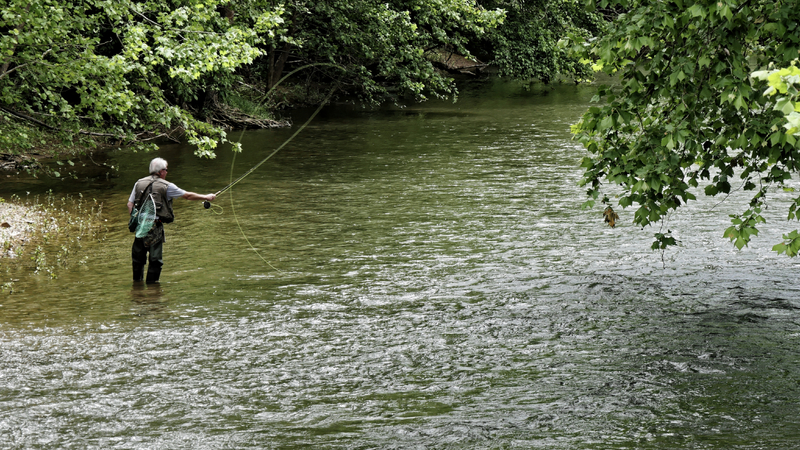 The entire area was abuzz with activity, especially from anglers who seemed to be everywhere. 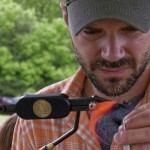 BRO Goes to Fish and Pick from John Woody on Vimeo. 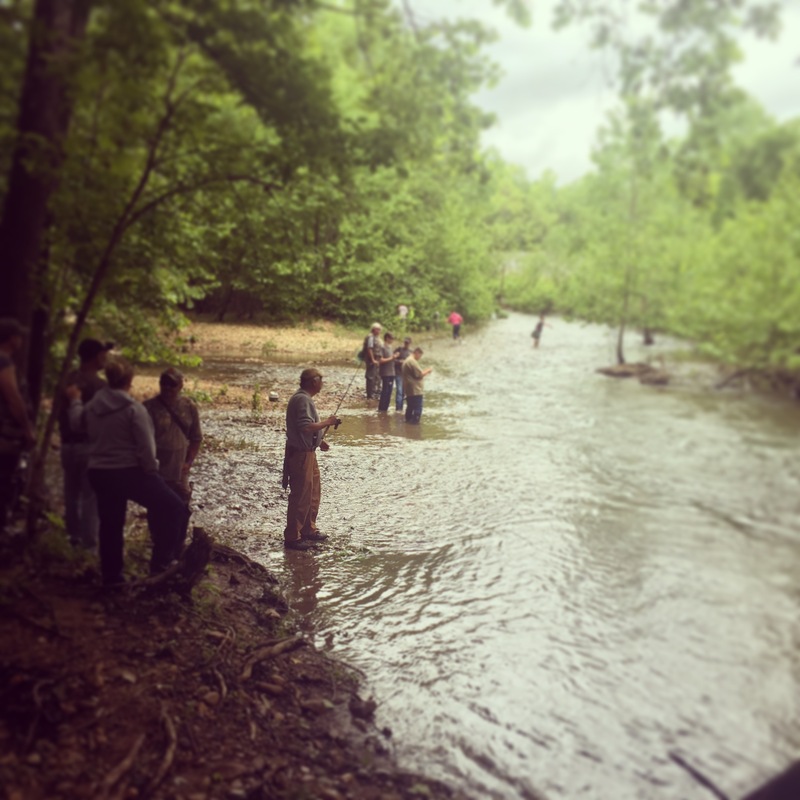 At this year’s inaugural event, dozens of anglers in hip boots or waders, carrying spinning gear or fly rods were lined up along the banks of the Maury River, which had been stocked with a thousand feisty rainbow trout. Successful anglers of every age were proud to show off their day’s catch. Those too young or not equipped to enter the Maury River visited a stocked pool near the river bank. There was no additional fee to fish, and all gear was supplied for those children willing to give it a try. For those who weren’t interested in fishing, there were other ways to relax. Nearby food trucks sold barbeque, french fries, homemade lemonade, and kettle corn. 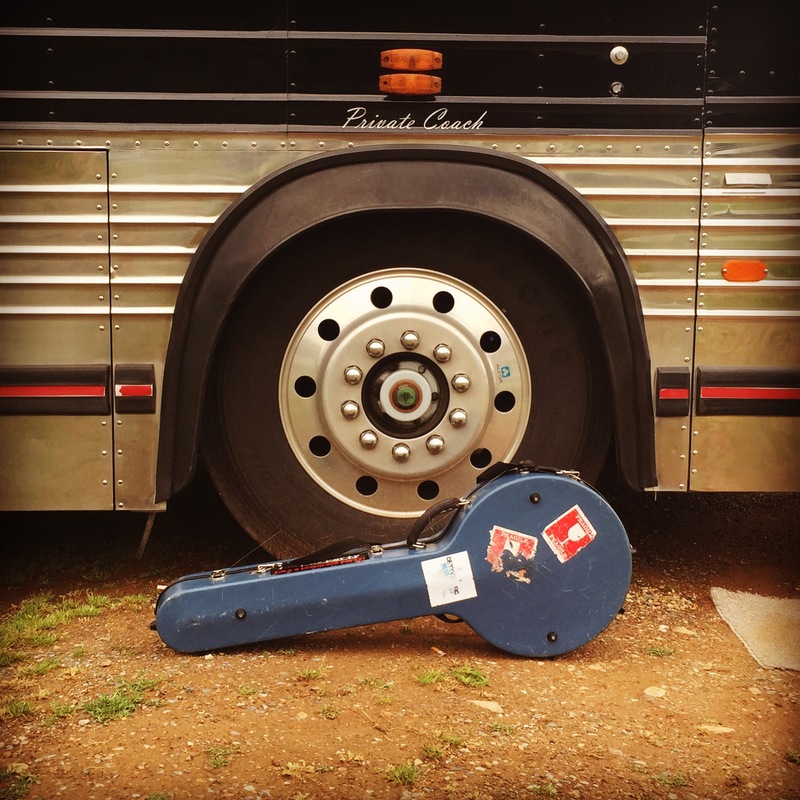 By early evening the sounds of bluegrass music from Junior Sisk and Rambler’s Choice, the Deer Creek Boys, and Plank Road Express filled the air. Small Virginia cities like Buena Vista and Lexington are primarily known for their history, and with good reason: The area was a hotspot during the Civil War. Venerable institutions of higher learning, Washington & Lee and Virginia Military Institute (VMI), are both local. Attractions include Natural Bridge, which was surveyed in the 1700s by a young George Washington. History lovers can also visit monuments to Virginia native Sam Houston, who went on to great fame in Texas, and the less well known favorite son Matthew Fontaine Maury. The polymath Maury taught at VMI and was so struck by the local waterway’s beauty that he asked that his ashes be spread in Goshen Pass along what is now the Maury River. Nicknamed “Pathfinder of the Seas,” Maury is today acknowledged as the father of modern oceanography. The United States Naval Academy in Annapolis, Maryland, has a hall named after this amazing man. The region has never suffered a dearth of history buffs; events like Fish & Pick hope to impress upon tourists that the Old Dominion offers tremendous recreational opportunities as well. “Rockbridge County is the southern gateway to Virginia’s Shenandoah Valley,” says Patty Williams, Director of Marketing for Lexington and Rockbridge Area Tourism. 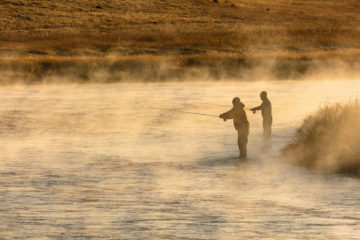 “With easy access to 64,000 acres of National Forest lands and the Maury and James Rivers, outdoor enthusiasts of all ages and skill levels can hike, bike, fish, paddle, climb and camp right here.” Don’t care much for fishing? Then why not consider kayaking or canoeing the local rivers, or taking advantage of the myriad hiking options like Woods Creek Trail, Chessie Trail, Laurel Run Trail, or the Buena Vista River Walk? 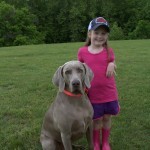 Emma Jo Williams and Gunner certainly had a blast and are eager to return. Good news for them: plans for the Second Annual Fish & Pick are already underway. 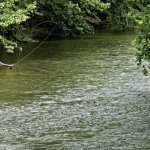 For more information on fishing in the area, contact Josh Williams at Dead Drift Outfitters (www.deaddriftva.com). 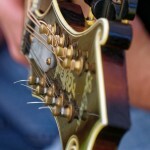 Check out Rockbridge Outdoors (www.RockbridgeOutdoors.com) for a listing of area trails and activities. 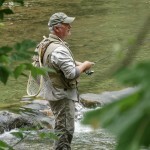 Beau Beasley (www.beaubeasley.com) is the author of Fly Fishing Virginia and Fly Fishing the Mid-Atlantic. 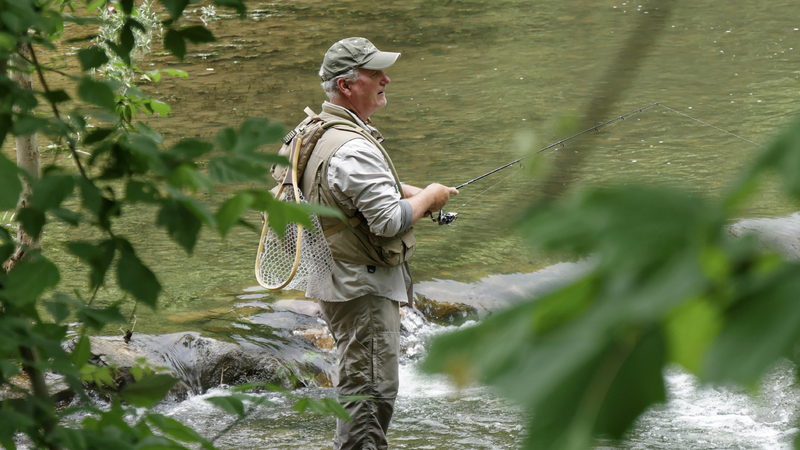 He’s a regular contributor to Blue Ridge Outdoors.